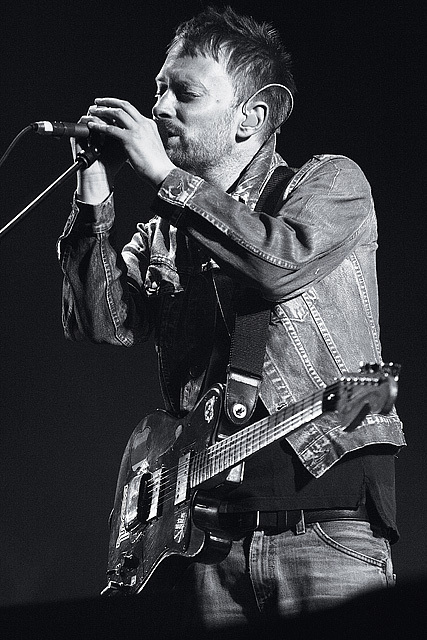 Just a few Radiohead pictures from V Festival 2006. 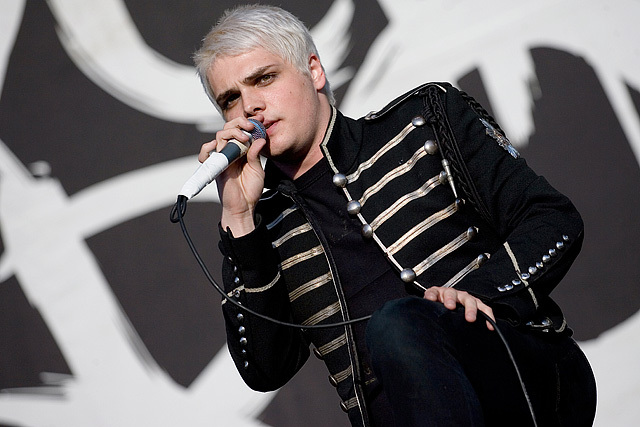 My Chemical Romance at Reading Festival 2006. And sadly at this moment still sitting in a pub in Reading. 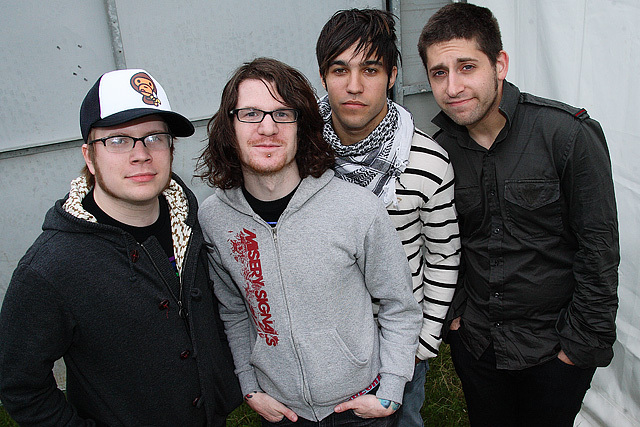 Fall Out Boy backstage yesterday. Reading, so far so good (aside maybe from the Panic! bottling incident). I’ve taken loads of pictures, so expect a big update next week, right I’m off to shoot more. One from the secret Panic! gig last night. Tonight it’s the first Club Loud & Quiet and then off to Reading, yay! 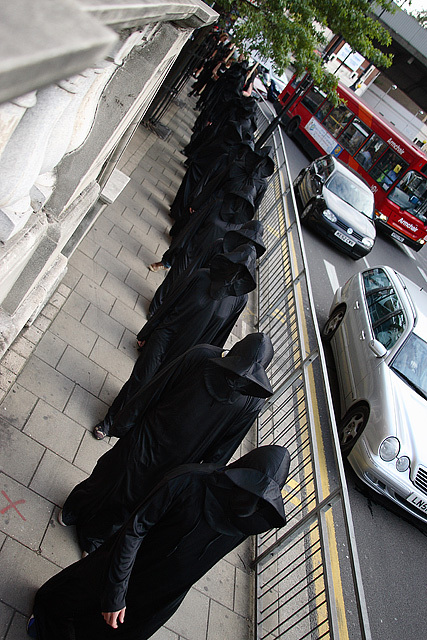 Lots of people dressed in black parade around Hammersmith, all in the name of My Chemical Romance. 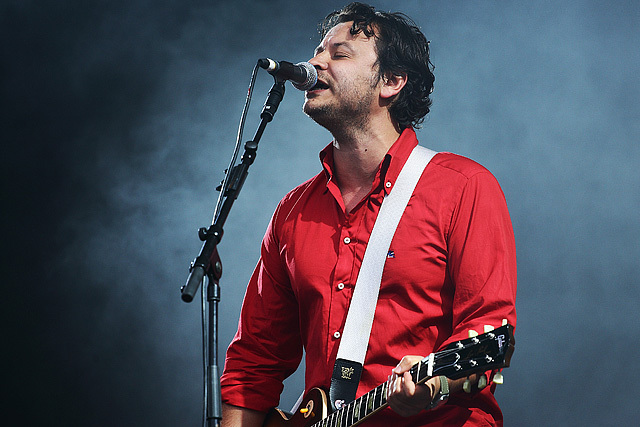 I shot plenty of pictures of the gig too, but all the photographers had to sign a usage contract so I need to check with the record company before I can put them online. One from the The Violets last night at St Moritz. 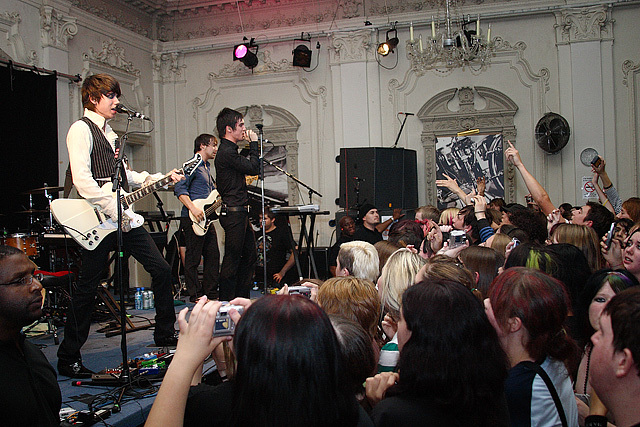 Another pic from V 2006. A quick picture from V because it’s far too wet outside. Get Cape. Wear Cape. 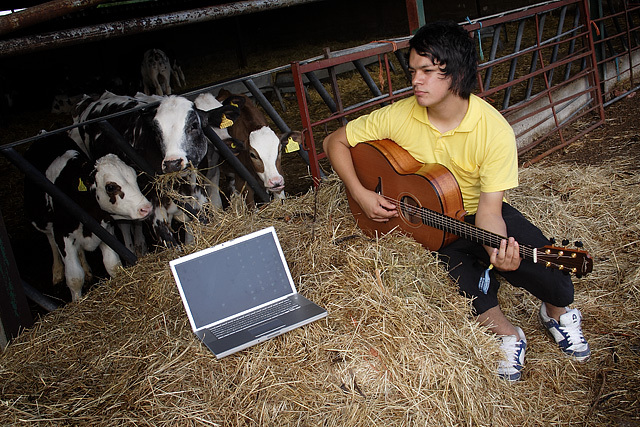 Fly, a guitar, a MacBook Pro and some cows.